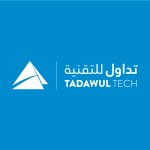 Tadawul Technology is the leading company providing electronic payment solutions in the Libyan market. Tadawul was established in 2013 as a joint venture between the HB Group (Libya’s largest private business group) and Maghreb (a Libyan focused private equity group) and has a strategic technology partnership with Wirecard AG – a global leader in mobile and electronic payments. The company has more than 110 employees and is based in Tripoli, Libya.